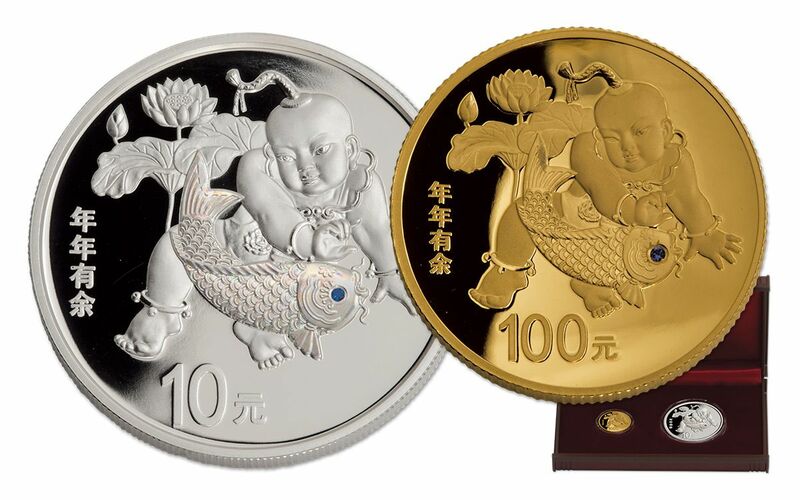 The lotus symbolizes purity, and koi are a symbol of strength and perseverance. Gold koi in particular often represent prosperity. 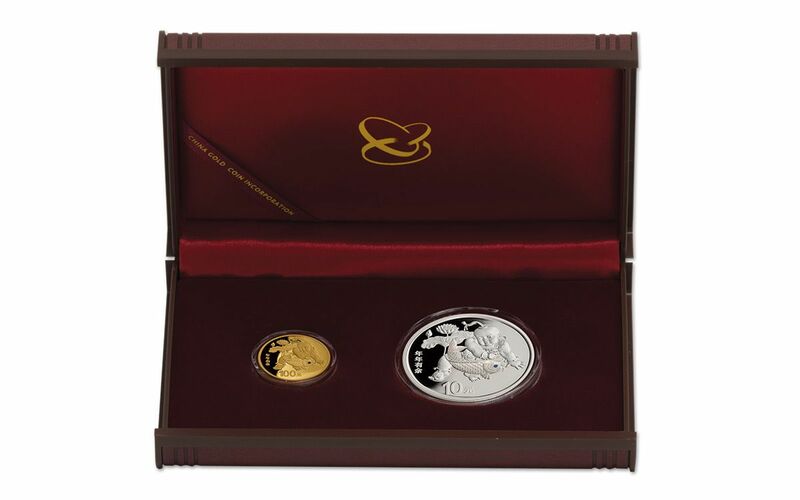 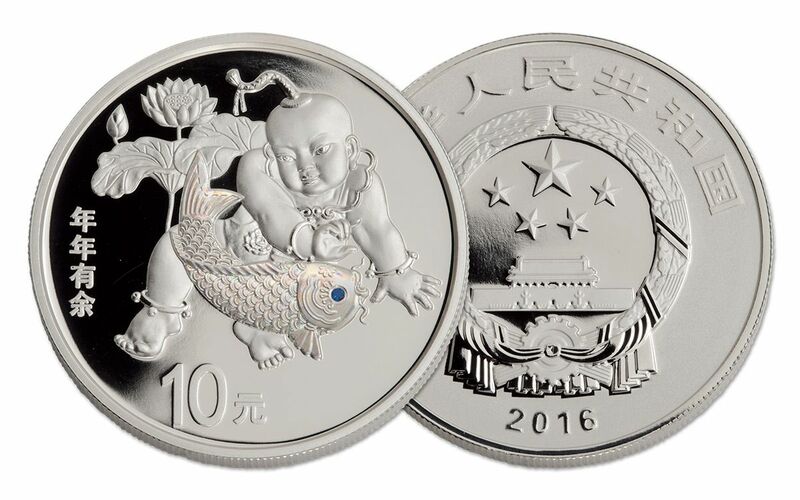 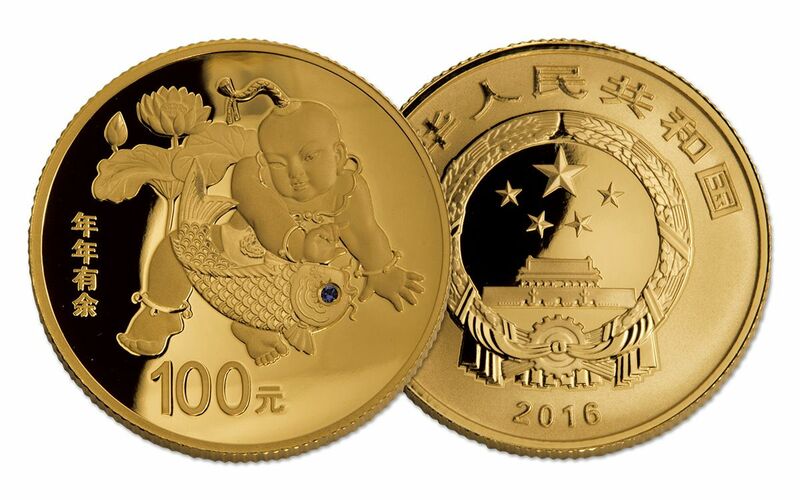 This coin's reverse features lotus flowers, a koi carp and the words "nian nian you yu," which means "may every year end with plentiful surplus."